MEN AND BOYS (THE REVELATIONS OF AMERICAN POLITICS) | Thoughts of a Calabarboy. 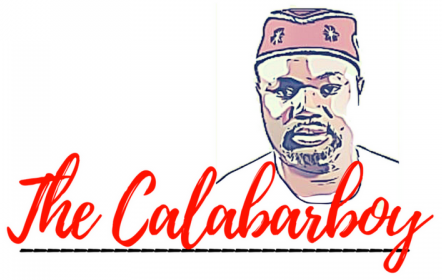 MEN AND BOYS (THE REVELATIONS OF AMERICAN POLITICS) – Thoughts of a Calabarboy. I have just watched the Tennessee with fellow students and my professors and boy!! what an exciting time it was. We spent time quietly analyzing the issues as both candidates threw down their points and ascertaining whether there was something new about what they were proposing to do. At the end we sieved through all the rhetoric to find something voters can chew and digest in finding energy to rise and cast their votes for a candidate. Frankly, I admire the intelligence of both men in how they lay out their points. It takes an awful lot of reading to keep abreast with issues and also an extensive mental capacity to align ones thoughts with a multiplicity of intentions, considering the complexity involved in the American system. I had to imagine myself there and admitted humbly… “this thing no be joke ohhh! !” In alluding to the fact that both men have done a lot of preparation in getting to this stage, I also will say that the preparation has led to a manifestation (hmm…rhymes…in my mind ohh) that effectively situates both candidates in two seprate pedestal. Ones preparation has placed him with the Ordinary League of Boys while the other’s preparation has put him in the Extraordinary League of Gentlemen. Without doubt or begging the question everyone seems to see clearly that John McCain has consistently shown that his groundwork of his campaign is fundamentally faulty and the foundations which he has built for himself seems to be seriously obsolete considering the nature of 21st century challenges which leadership has to deal with. Barack Obama on the other hand, while not the finished product of natures perfection has inspired many with common sense and a modern reality which seems to deconstruct existing mindsets and offer simpler and plain strategies in clearing the mysteries surrounding America’s politics. For instance McCain is still espousing a totally free market approach to the economics of the country yet still pandering to the voters with a populist policy which mistakenly dropped out his mouth during the debate when he said he would ensure that government buys back all the bad mortgages. And this is the same man saying the government should get out of the way of Americans. Obama while stating that free market has its merits, but advances that it doesn’t work all the time and for that reason, government should play a role in ensuring that this free market plays by the rules to protect people from the adversities of capitalism. The old fable that allow the market to determine and create wealth then it will trickle down to the bottom of the system has been refuted time again. Thus Obama shows that he is identifying with the plight of the base in society, while McCain thinks that the ‘Invisible Hand’ will regulate things. You mean people are still thinking like that in this century? And come to ponder, has the market really determined wealth for a larger percentage of a country’s population? NO!!! You know boys somehow believe that things will be alright without wanting to accept the responsibilities of making sure it really gets alright. Men will face the issues and say where the problem is and be willing to creatively proffer solutions to logjam situations. This is one way men have been separated from boys from this debating season. McCain has yet to be direct on what exactly his economic policy is other than freeing the economic turkeys to soar to heights unknown and when thanksgiving comes, no birds on the table. It is pretty encouraging to go into http://www.barackobama.com/plan and see a clearly articulated plan on every facet a government is involved with. Perhaps it’s a good time to bring this up. John McCain should stop imagining that America can go anywhere and do anything it wants anyhowly (permit that please). The reality of the way the world is now is that no single nation is absolute in its capacity to influence events on the globe. Therefore nations need other countries to carry out an effective foreign policy in international politics. America cannot unilaterally fight terrorism in the world and it will be foolhardy to think this is possible. But Mr. McCain has unwisely refused to show the place of diplomacy in getting things done. Obama has consistently said that we cannot cut off other countries, we have to engage in tough diplomacy even if the country’s name is Iran. This is what the world needs today, not the ancient practice of international thuggery, which was characteristic of empires and monarchies. I was at the UN when the Iranian Ahmadinejad address the Plenary session and guess what? Bush stood up and walked out of the meeting. What kind of boyishness is that? And this is what McCain is patterning his foreign policy on. If it hasn’t worked for all these years, what will make it work into tomorrow? Again we see how and man is distinguished from a boy. I have so much to say but let me wrap this up and leave the rest for my readers to determine and I will respond appropriately with other issues I have to table. I will finally point to what happened in this latest debate in establishing the Boy-dom of Mr. McCain. This man has an unacceptable way of talking down on people. By referring to Obama as “That one”, he registered his membership in the class of uncultured persons and at best he should be declassified from the honour of statesmen. Also suggesting that what he doesn’t know is what Americans do not know is a serious blasphemy against the country. All these are mounting references to who is really prepared and who is not. Please don’t get me wrong. I am in no way saying that Barack Obama has satisfied every necessary condition for assuming the role of one of the most powerful men on the planet. However, for what is on the play ground, one has elevated his profile by leaving the things that belong to boys and taken up the main challenges and appurtenances of manhood, while the other has swindled himself unknowingly into a game of losers. If as it is, Barack Obama doesn’t win this election, it wouldn’t be on the fact that he wasn’t qualified on the issues, but it will be because of some other extraneous variable which we all know of… you judge for Yourself my friend. ← A FOOL AT 40+ ?